Glenlara 1987-2006 We are saddened by the passing of Glenlara. His legend will live on through his offsrping and his stallion sons. 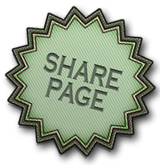 Please see the page on Bridon Glenmore to find out more about the next generation of proof. Glenlara’s pedigree is one of the finest available in the US. 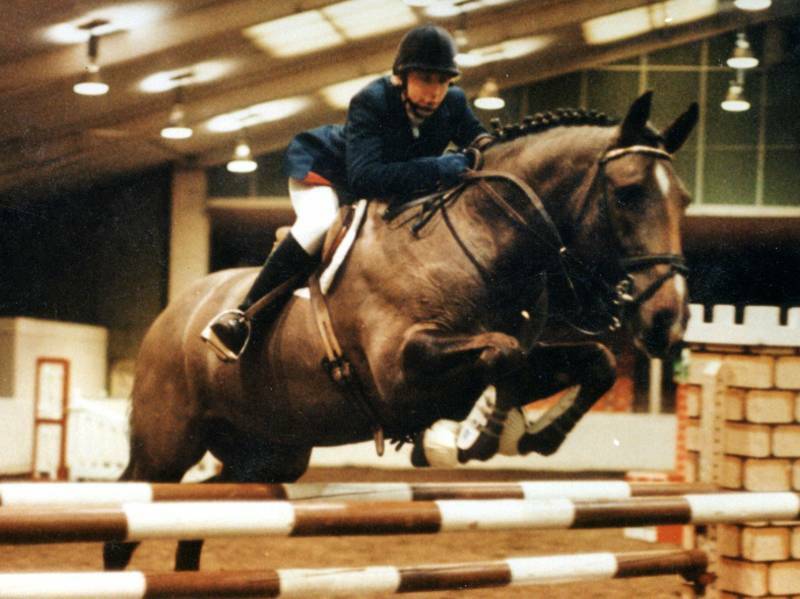 Enniskeane Pride’s full brother, Enniskeane Prince, was a Grade A Showjumper. Enniskeane Countess was a very influential mare having produced 2 RID stallions and Kildalton Countess a very influential RID mare who produced 5 RID stallions herself. Enniskeane Countess also won Irish Draught Broodmare Championship at the RDS in 1967. Night Nurse 2 produced another RID stallion, Donovan by Parnell. Ben Purple is one of the most influential RID stallions known for his performance horses. He is found in the pedigree of the International Event horse Custom Made. Glenlara goes back to the four RID foundation sires as well as going back to the famous Woodranger numerous times. Glenlara has stood in England, Ireland and the US. In England he was NaSta Performance Tested receiving very high marks in Cross Country, Showjumping, Freejumping, Temperment and Character. He hunted regularly, even having led the field for a season. 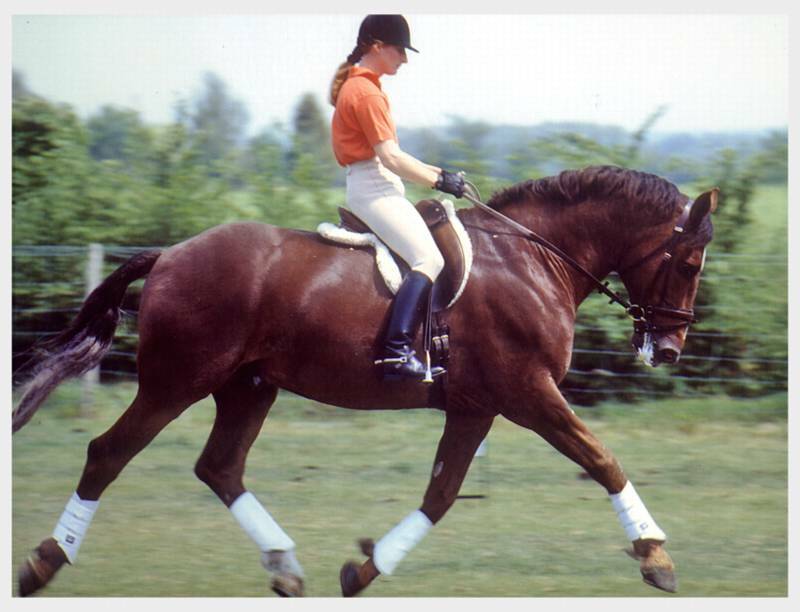 He qualified for the Foxhunter Regional Finals in 1995. He showed successfully in Dressage and in August 1997 was featured in Your Horse Magazine in an article entitled "Dressage: Preparation Before the Competition". He was highlighted for his lateral work and well as for his halt transitions. He showjumped to Grade B and competed in Combined Training. He was featured in Horse and Hound Magazine in 1996 where he was listed in Jane Kidd’s Selected Stallion Guide as one of the most interesting RID Stallions for his jumping ability. In 1998 he moved to Ireland with John and Dermot McCarthy in CO. Cork. Glenlara’s impact in Ireland was instant. He went to the prestigious Dublin Horse Show after only being in the country a few months and was Reserve Champion RID stallion. During his three seasons in Ireland Glenlara’s offspring were very successful and sought after. They are still consistently at the top of conformation classes as well as the performance arena. His offspring are being sold to Europe as well as being retained for Purebred Irish Draught breeding stock. 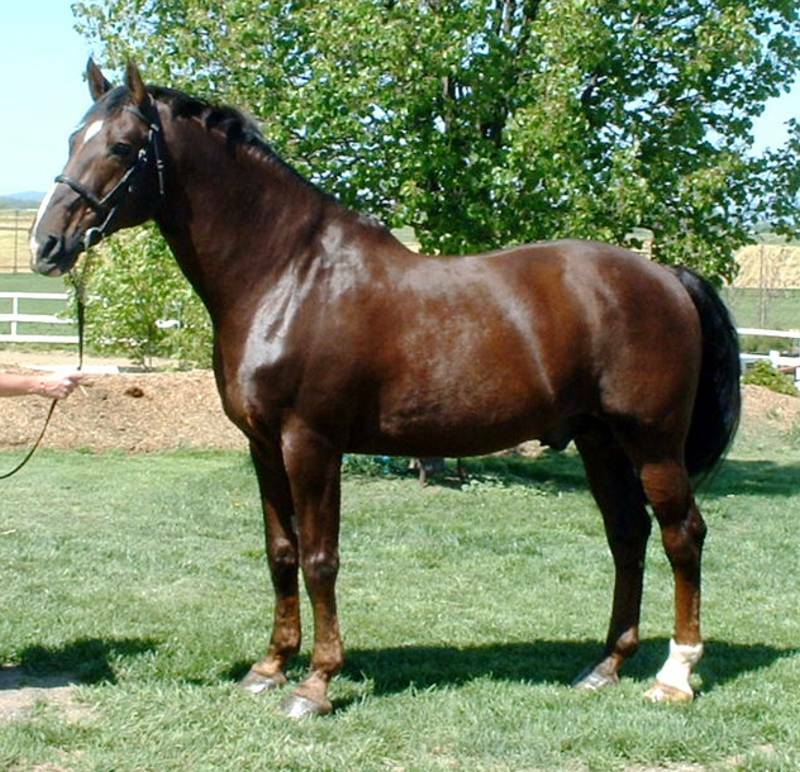 In 2000 Glenlara came to the US as one of the most accomplished RID performance horses. Few RID’s available in the US have been so versatile in the performance world as well as producing superior, successful offspring. His foals in the US have been widely successful. 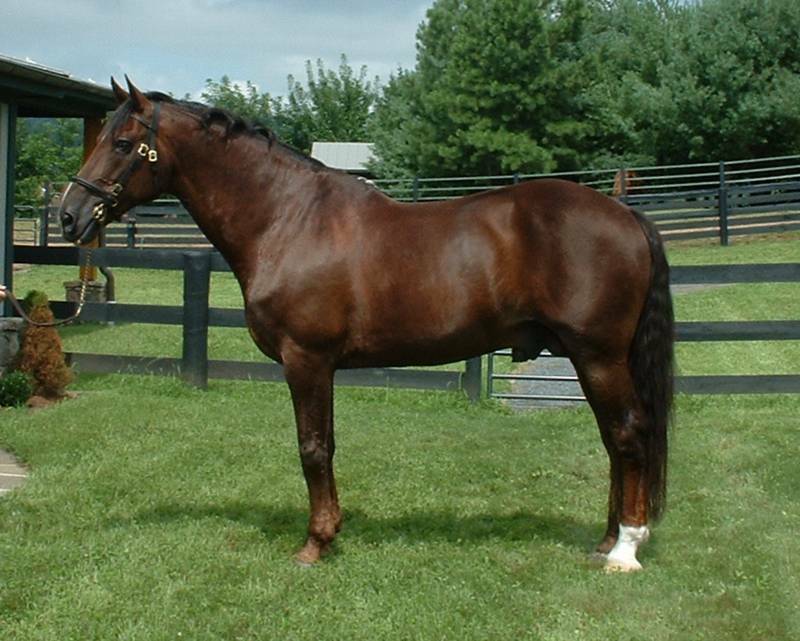 He produced the IDHS(NA) National Champion and Reserve Champion Purebred Foals in 2002 and 2003 as well as winning the Get of Sire both years as well. A full list of accomplishments available upon request. Glenlara consistently stamps his stock, the sign of a great sire. His purebred foals have good bone and breed traits but are not ‘clunky’ or slow off the ground. 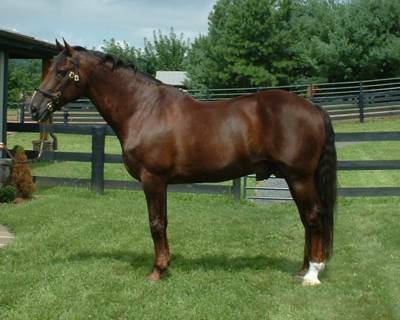 His partbreds foals generally add bone and substance to the mare, but still maintain a refined look. He throws an uphill build with an elegant front end. A horse cannot properly be collected for dressage or showumping unless the have the build that allows their back to lift and naturally round, Glenlara’s foals are built to perform. He throws clever, quick learning babies with tons of personality. 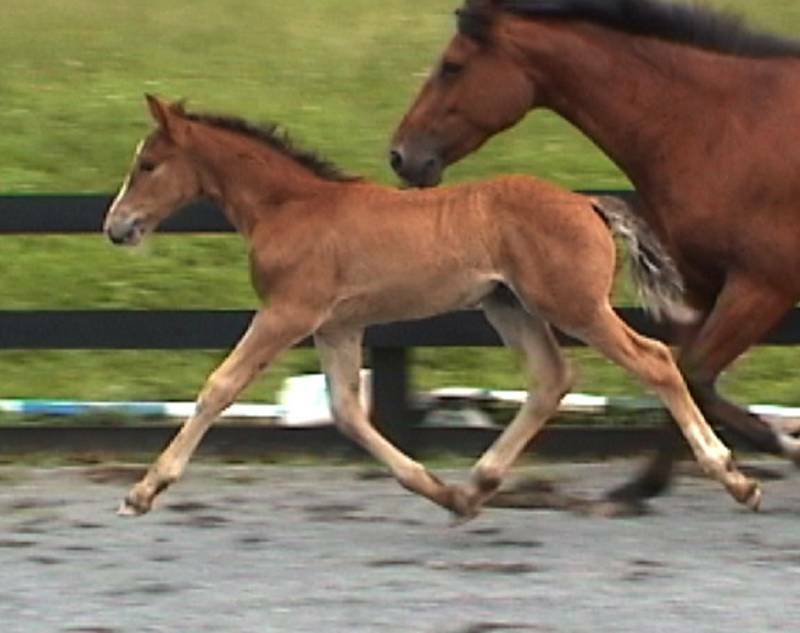 His foals are natural athletes and have an incredible work ethic and zest for new challenges. All of these attributes combined make him the sire to choose if you want an exceptional foal. A stallion is only as good as what they can put on the ground. We know that Glenlara produces the best offspring available in the US. Glenlara's offspring and their offspring canbe seen eventing, foxhunting, in the FEH, in the show ring or breeding future stars. "Glenlara impressed me is his correctness, nice bone, willing manners, good tuck and bascule over fences, lightness at the trot, and a kind eye. 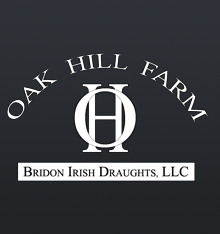 It appears that he departs his size, trainability, athleticism to his babies and they will become wonderful sport horses representative of the Irish Draught Horse." "Just to let you know, he is much more "athletic" looking and moving than many other Draught stallions that I have requested videos on. I really do like him..."
"I attended the IDHSNA show at FENCE and I must say that the video you sent of Glenlara was very impressive, but did not do him justice. He was pectacular beyond belief and pretty much ended any questions or speculations I had about breeding to any other RID. Thank you so much for bringing him to the show at FENCE as I truly enjoyed seeing him." "My horse is lovely looking with a fantastic jump and great paces with a fantastic personality, so thank you to your stallion!!" "The yearling by Glen has the best attitude of any horse I've ever had---he is a charmer."